The country is swamped with increased flooding and there’s no easy fix to improve the circumstances for those in areas most at risk. Residents in all communities should take proper precautions to protect themselves and their homes. 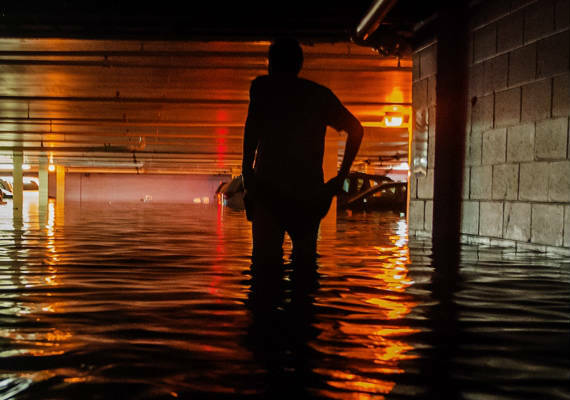 For much of the country, the approach of warmer weather signifies flooding, with damage ranging from an annoying headache to catastrophic consequences. But many are unaware of the dangerous implications of increased flood risks, and no area is immune to flooding. FloodNet, a research network focusing on flood forecasting and management, reports that flooding is the most common natural disaster in Canada, leading to the most expensive recovery. And, the heavy storms that used to plague Canadians once in 40 years are now expected to hit far more frequently. Although Canadian flood maps are woefully out of date, updated statistics suggest that approximately 20% of Canadian households, or 1.8 million households, are exposed to flood risk. While many citizens rely on the National Disaster Mitigation Program (NDMP) -- which provides financial support to update flood maps and mitigate the effects of flooding and other natural disasters -- to protect them, this program focuses on certain regions and may not cover your property. Many industry leaders are calling for a special government flood program -- or even a mixed public-private initiative -- to protect citizens, but change is slow to come. Canadians must protect themselves as much as possible against flooding risks. Although nearly 70% of Canadians believe that their homeowner’s insurance policy will cover them for flooding, this is not the case. Typically, flood damage resulting from surface water, including surges caused by storms, is not covered in standard homeowner and renter insurance policies. And Canadian flood maps are so old that they may not draw attention to all at-risk areas. Pair this with aging infrastructure unable to handle excess rainwater in many communities, and you have a recipe for disaster. When meeting with your HUB broker, you may wish to utilize the Federal Floodplain Mapping Network’s information, which provides an overview flood risk assessment, and then discuss augmenting your homeowner’s policy with flood insurance. Flood insurance compensates for what your homeowner’s insurance policy doesn’t handle by specifically covering flood damage costs. An insurance professional who knows the market can assist you in navigating your specific flood insurance options and advise you in the areas of water damage loss, excess flood coverage, and coverage for backup of sewers and drains. Spring rains and eventual flooding are coming. Call your broker now because there’s typically a 30-day waiting period before coverage goes into effect. As a homeowner, understand that because flood damage isn’t protected under a general homeowner’s insurance policy, you should consider flood insurance with the right limits and eliminate any gaps in coverage. Your HUB broker can review flood maps for your area and recommend coverage that can protect you from potentially devastating consequences due to flooding.